Dental examinations are an important part of every person's overall health care. Regular dental examinations are important even for patients with good at-home dental hygiene practices. A dentist may be able to identify tooth or gum problems at an early stage, when they are easier to treat. Problems such as tooth decay may not become apparent to the patient until they are significant and actually cause pain. Prior to a dental examination, Dr. Meyer will review your medical and dental history. This can identify certain medical conditions or lifestyle choices that may affect a person's oral health. You may also want to speak to Dr. Meyer about any fear, anxiety or special concerns you have. Dental x-rays, to identify any hidden signs of decay or disease. The frequency of x-rays depends on a patient's dental history and risk of tooth decay. Examination of the head and neck area, including the temporomandibular joints (TMJ), for signs of infection, disease or other problems. Visual inspection of the soft tissue inside the mouth, including a check for lesions and signs of oral cancer. 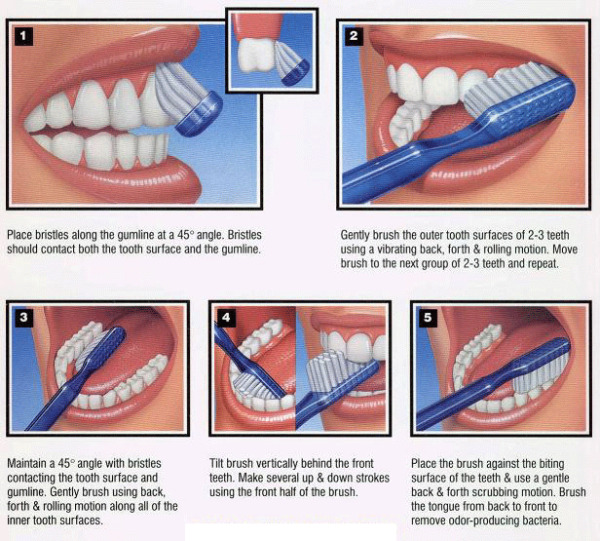 Periodontal screening, which may include a measurement of the space between the teeth and gums for signs of gum disease. Examination of a patient's bite, which may indicate a need for braces or Invisalign ®. Visual inspection for signs of tooth decay. This may include the use of specialized tools (DIAGNOdent®) that can help Dr. Meyer identify the presence of cavities. For children, dental cleanings are performed by our dental hygienist who cleans and polishes the teeth, and may apply a fluoride treatment. She may also give you proper brushing and flossing instructions to help you in areas that you may be having difficulty with. After your examination, we will go over your treatment plan with you. Certain treatments may be recommended, depending on the findings of the examination. Some treatments may be performed by Dr. Meyer, while others may require a visit to a specialist. In some cases, protective measures such as dental sealants may be recommended. Before you leave we will get you scheduled for the proper treatment.